Happy #BackToSchool time everyone!!! Yes, it's the new academic year and you might just be wondering what social media breakthroughs have crept up on you over the summer holidays. Here is our handy summary of the social media you should be on RIGHT NOW, or at least getting very excited for! So...where shall we begin? Yes, statistics. We all love them - don't lie. These numbers and facts help us to see the reality of how entities such as social media effects us. More importantly they offer guidance in where your school should be driving its social media marketing strategy. It will come as little surprise that Facebook is the largest, most populated country out there. In fact, if you were to add together Facebook and the companies that they have purchased, namely Facebook Messenger; What's App; and Instagram, the population would equal 3.9 billion people (users). That is over half the entire world! Knowing your audience is the simplest but most important rule for any business. Luckily your current, and indeed future, audience is providing all the data you need - right now! Right now social media has an incredible presence in the life of teenagers. It is important to realise that what they are engaging with now will shape what is developed in the near future. Facebook trumps all once again. However, particular attention needs to be paid to Snapchat and Instagram. Both are image and video sharing platforms and both are quickly rising through the ranks with this age bracket. You can see by these stats that these two sites are dominated by a younger age group. You need to know how to safeguard your pupils. 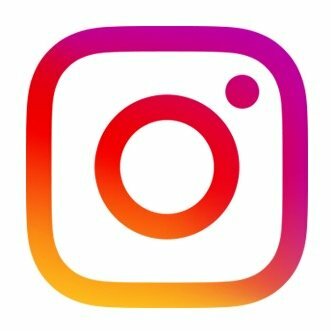 Many parents will either not use or simply not understand Snapchat and Instagram, so it falls to you to ensure that your school is educating the correct and safe way to operate on them. 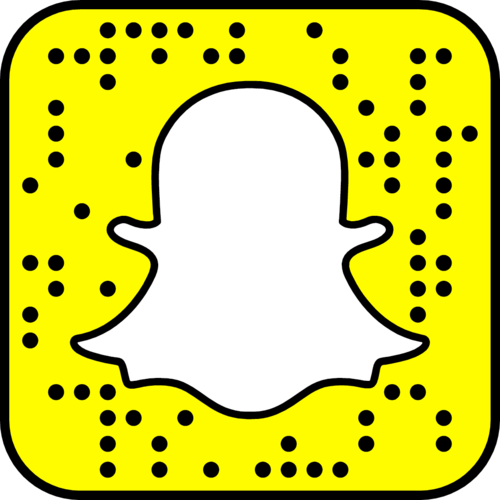 From a marketing point of view your younger parents, and your upcoming parents, will be more au fait with Snapchat and Instagram. Knowing how to utilise and market well across them will make your school stand out against competitors. 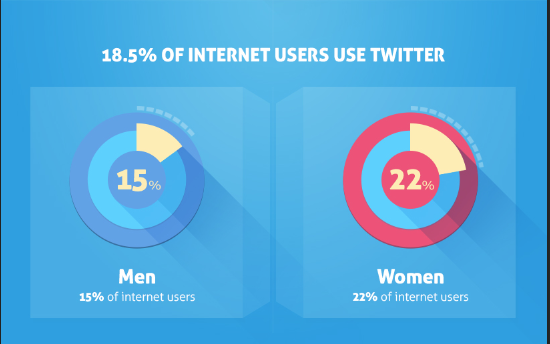 Just as with age, gender plays an important part in the social media marketing world. 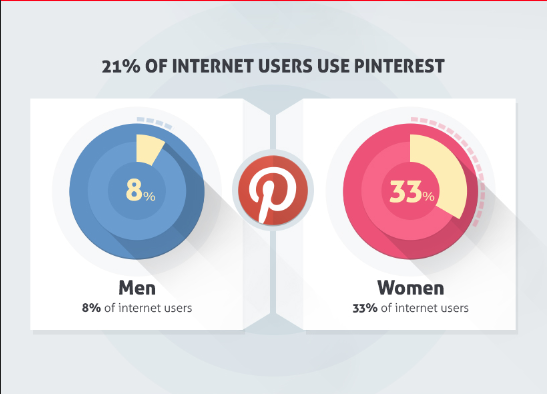 For example: Pinterest has a 70:30 split weighted towards women. That is really quite an astonishing majority and should be noted. Knowing social media preferences between male and female is really important. What might work well for mother could be ineffective for father. Below are some handy images showing basic stats on the gender divide for the more popular social media sites. We think it's safe to say that this year's hot topic in social media will be centred around live-streaming. This, in essence, is streaming video across social media...live! Many of you may well have heard of Periscope - easily the most popular live-streaming platform currently available. Already we are seeing some fantastic uses for Periscope, and similar applications, by schools. For example one school live-streamed their entire sports day - event by event. This simple act enabled parents to watch those events their children were participating in, even if they couldn't attend the day in person. Other uses could include: live-streaming concerts and drama performances, or showing prospective (perhaps international) parents around your school without their needing to actually be at the school! Most people will know YouTube - the home of funny cat fails and Charlie biting fingers. This is the site for videos! This is where you should be posting all video content - and sharing as links across your other platforms (Facebook, Twitter and LinkedIn). YouTube specialise in video content so this is the safest and most efficient way to ensure that your video content is displayed and plays to its best. YouTube is owned by Google, so to make the most of it a Gmail account is required. Likewise, Flickr is one of the best options out there for photography / images. It is a very simple site to get to grips with; excelling over Instagram and Snapchat in that it is capable of storing tons on photos - neatly organised into album folders. Albums are easily shared, in the same way as YouTube videos, to be disseminated over your social media sites. Flickr is owned by Yahoo!, so a Yahoo email is required to sign-up with. We've had video and images - how about pure audio? Yes, SoundCloud is the perfect spot to host your audio content. These could be audio recordings of school concerts or perhaps student language lessons. Finally we have Issuu - a fabulous source for your published content. We see schools host newsletters and similar publications via Issuu quite often - but what about other ideas? Perhaps an anthology of pupil's poetry over the various years? Issuu arranges published work through 'stacks' - the premise being you create a stack (i.e. "School Newsletter") and organise content in that way. So that ladies and gentleman is a brief stat-fuelled summary of the social media world in 2016. Facebook and Twitter will remain the major port of call for most people, and businesses, but it is having a sound knowledge of other platforms, and their strengths & weaknesses, that will make your own marketing strategy more efficient. Remember - everyone is connected to everyone nowadays so it is more imperative then ever to STAND OUT!!! What are you views on the upcoming and important social medias for 2016? Comment below.